Promoted to the dual role of chief of staff and executive vice president for carrier development at the beginning of 2018, Elizabeth Demaret is now part of the wider global operations leadership team at Sedgwick, working closely with the group president to manage global claims operations across property, casualty, disability, specialty, international and managed care. In addition, Demaret oversees the company’s relationships with carrier partners around the globe that support more than 2,000 existing clients. Demaret started out in the insurance industry 30 years ago and has accumulated experience on the carrier, broker and now claims sides of the business. Since joining Sedgwick in 2012, Demaret has been instrumental to a number of key projects, including the successful acquisition of Cunningham Lindsey in April, implementation of a CRM system and setting up the D&I council. 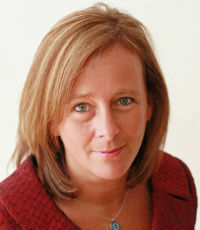 Demaret also served as the first female chair of the World Federation of Insurance Intermediaries, and is an active participant and speaker in many industry trade shows and conferences. Company Sedgwick Claims Management Services Inc.